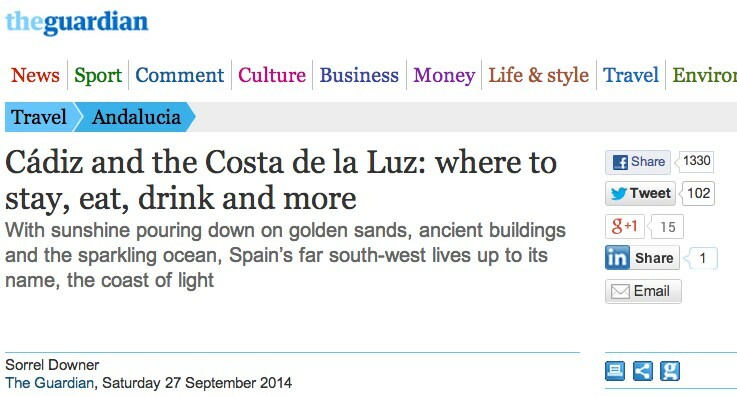 See the feature I wrote for The Guardian on Cádiz and the Costa de la Luz: where to stay, eat, drink and more: ‘With sunshine pouring down on golden sands, ancient buildings and the sparkling ocean, Spain’s far south-west lives up to its name, the coast of light’. The idea was to suggest good places to visit in order to take advantage of the late summer sun. It’s currently late October and the temperatures are still around 30 degrees. You can read the full article here.